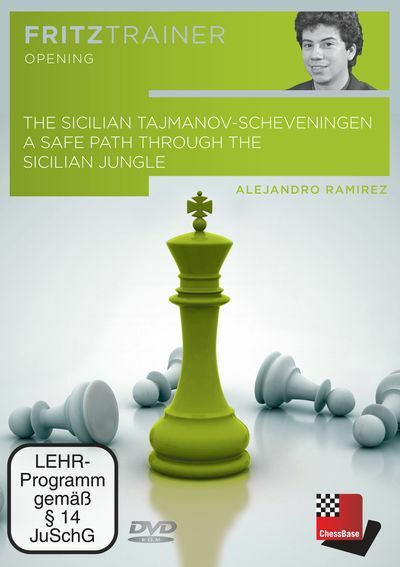 The Sicilian has been known for decades as the most reliable way for Black to obtain an unbalanced but good position. Among the most popular Sicilians at the top level the two that certainly stand out are the Najdorf and the Paulsen. Unlike the Najdorf, the Paulsen provides a safer and more positionally based way of fighting against 1.e4. Black is able to obtain adequate counterplay in all variations without going for a do-or-die type of attack. This DVD will combine the power of the pure Paulsen Sicilian with eventual transpositions to the Scheveningen when it is convenient for the black player. Anand, Topalov, Morozevich, Ivanchuk, Grischuk, Leko, Svidler, Jakovenko, Polgar and countless other grandmasters are defending the Paulsen, and with excellent results. The theory presented in this DVD is cutting edge; most of the games analyzed were played at the highest level of chess: the 2013 Tromso World Cup.